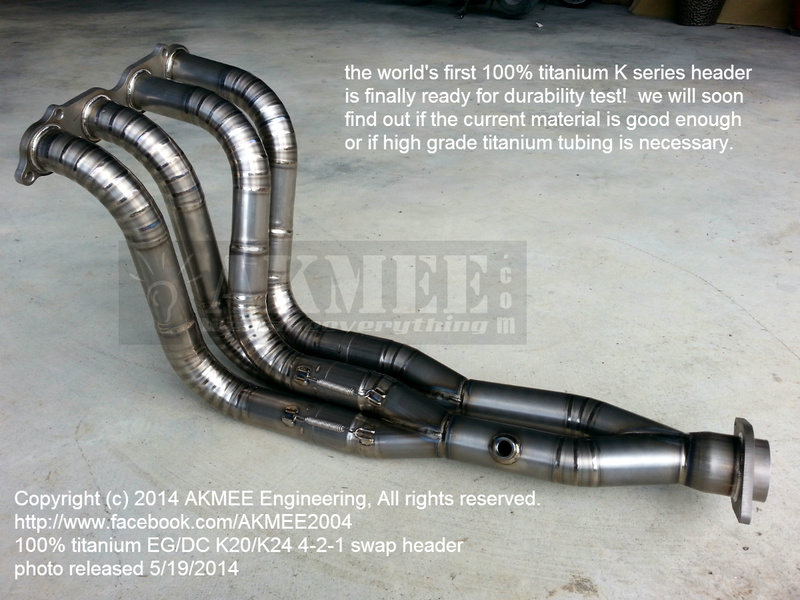 Full titanium EG/DC K20/K24 4-2-1 header ready for testing!! 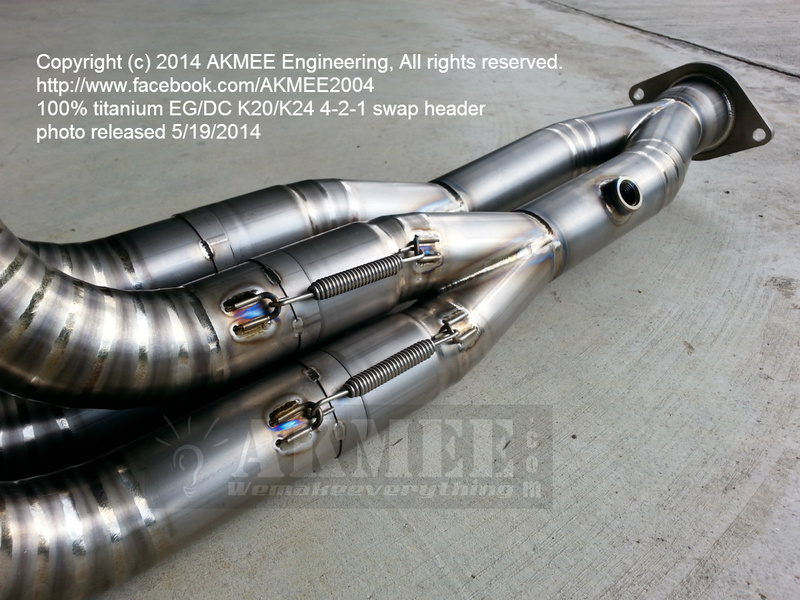 We’ve been working on this for many weeks in the spare time when we have time away from the AKMEE EG/DC K20/K24 2014 spec stainless header production run. 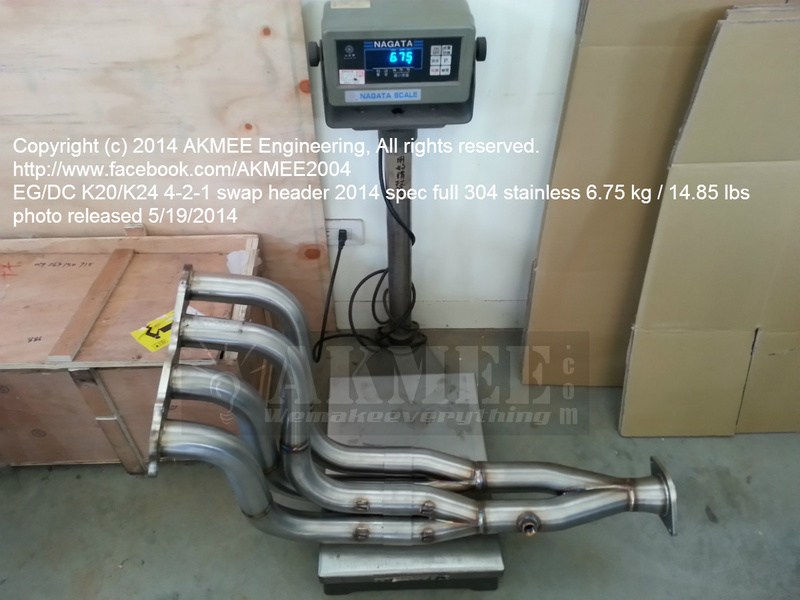 This is the world’s very first so it is not perfect but good enough for our durability test purpose. 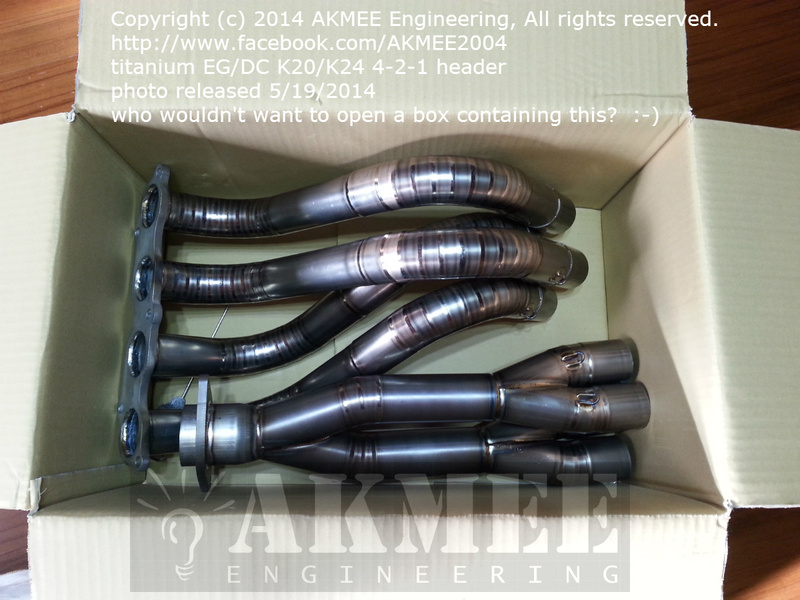 This entry was posted in AKMEE Engineering, Fabrications/Welding/Machining/Manufacturing, Transportation, Uncategorized/Unsorted and tagged akmee, dc, eg, hasport, kswap, titanium. Bookmark the permalink. 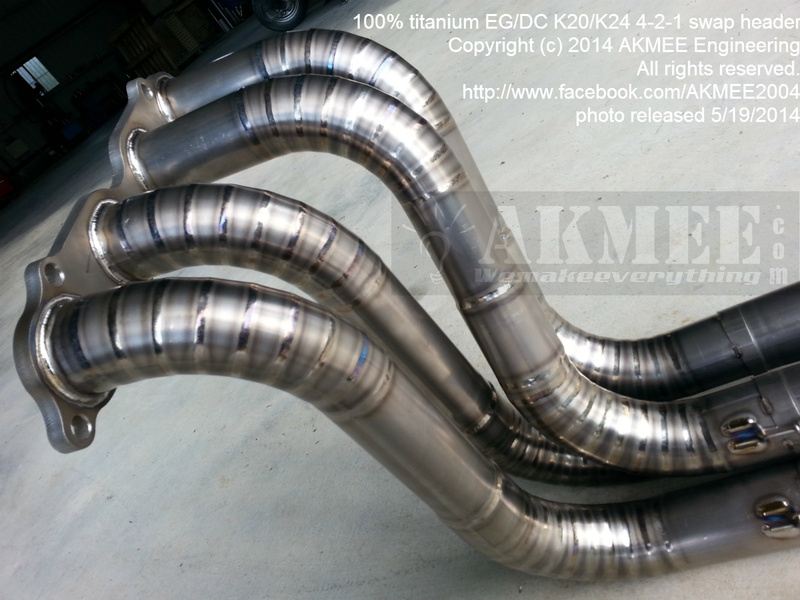 2 Responses to Full titanium EG/DC K20/K24 4-2-1 header ready for testing! !